Among the most insufferable figures in modern media’s rich cast of ne’er-do-wells is the celebrity expert, someone with a reputation for specialized knowledge in some limited area who the media anoints as the last word on much broader areas, not because he’s earned it but because his judgment is selective enough to make for useful propaganda. 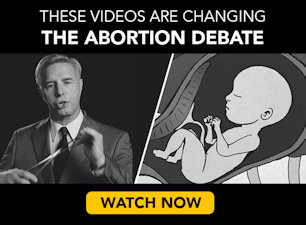 The worst example of this phenomenon is Bill Nye the Science Guy, who first started making the rounds criticizing politicians for alleged scientific illiteracy, conveniently ignored the much clearer and more widespread scientific illiteracy of politicians denying that life begins at fertilization, then eventually used his standing to start promoting the fiction as fact. Astrophysicist Neil deGrasse Tyson hasn’t quite taken that final step (a pro-abortion image featuring him online appears to be a misquote), but his blind spot when it comes to embryology deniers speaks volumes. Tyson attacks conservatives for remaining skeptical about global warming, thinks public schools letting people believe Earth is flat is still a problem, suggests that Isaac Newton’s belief that the universe had a designer hindered his scientific work, and accuses Republicans of putting religion and oil interests ahead of sound policy on stem cells and the environment. The other day, Tyson appeared on Bill Maher’s show to discuss the politicization of science. To his credit, he pointed out a couple of areas where Democrats are also on shaky scientific ground… but left unchallenged Maher and other panelists’ conclusion that of course they didn’t make the parties equally anti-science, and left embryology denial completely unmentioned. The real false equivalency here is ignoring the fact that no other real or perceived science-mangling in our country even comes close to the embryology deniers, either in the clarity of the wrongness or the severity of the consequences. Dozens of mainstream, non-political scientific textbooks, organizations, and experts clearly confirm that the life of a new human being begins at fertilization. All three relevant variables to the question—what constitutes an organism, how we know it’s alive, and how to classify it as human—have settled, unambiguous criteria. Writing developing humans off as potential rather than actual entities doesn’t withstand the most basic logical scrutiny. Everything I’ve just said is 100% secular and empirical, not depending on a scrap of theology or emotion or subjectivity. Hey Neil? 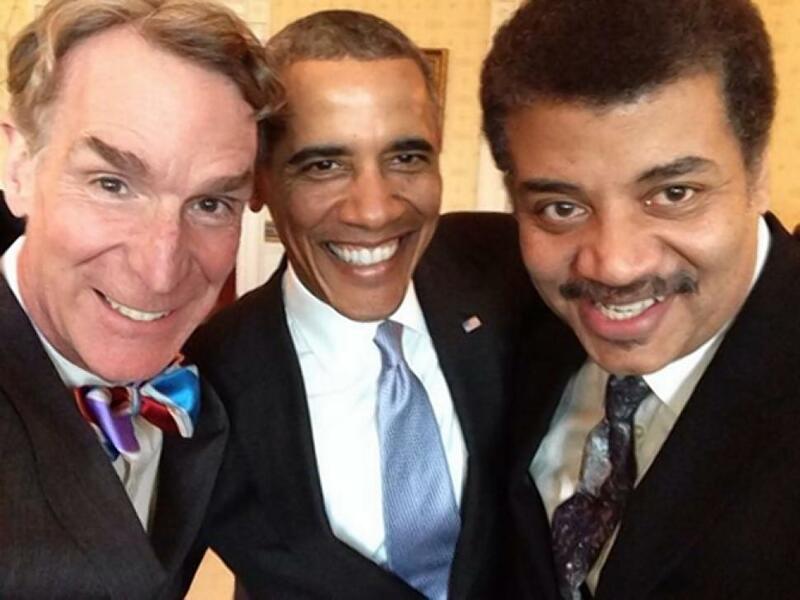 I’ve got a sitting President of the United States, his party’s nominee to succeed him, the chair of their party, a former Speaker of the House, and scores of additional politicians, interest group representatives and activists, media outlets and personalities, and even a few of your fellow scientists in far greater need of a lecture on “how and why science works.” Heck, the Supreme Court wrongly claiming there was no answer to “the difficult question of when life begins” is the entire reason we’re having this conversation. 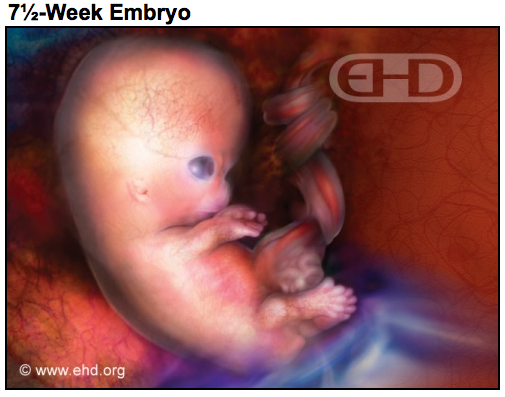 In addition to contradicting a fact far less ambiguous, embryology denial has far greater ramifications. Virtually none of the proposed environmental regulations would make a dent in global temperature anyway if skeptics became believers tomorrow, whereas people die every day as a direct result of the scientific ignorance promoted by the abortion industry and its political allies—more than 3,000 babies a day, roughly a million a year, and a total of more than 58 million since Roe v. Wade. That’s followed by the litany of physical, mental, and emotional risks that accompany even “proper” abortions (denial of which could be an entirely separate article about selective science), and the women who suffer and die at the hands of abortionists who fall well below their industry’s standards of “proper,” yet get a pass from the rest of the pro-abortion community. There is plenty to criticize in both parties, and much to debate in other issues, but when a public figure volunteers to police the scientific fidelity of politicians yet year after year ignores the single most egregious and dangerous assault on science from either side, it’s hard to conclude something other than science isn’t the highest priority.